Weekends are a perfect time to spend great moments with your family. It’s when most of you get to enjoy meals together and therefore, is the best way to share this easy and yummy custard cake recipe. Yum yum! It’ll only take you around two hours or so to make it and perhaps four hours to cool it. The ingredients that you will need are eggs, sugar, butter, lemon zests, vanilla extract, all-purpose cream, and milk. The video below will show you exactly how to achieve the rich and thick feeling of the batter. You can add some extra ingredients if you want before actually cooking it in the oven. 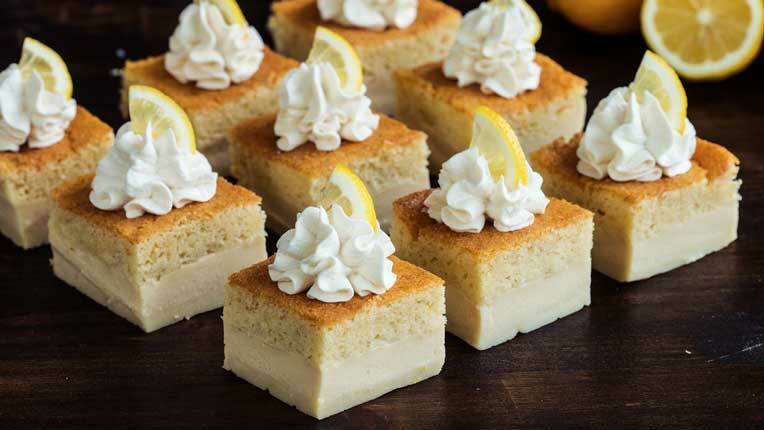 Add a wonderful finish by topping a whipped cream with a small slice of lemon and you’re good to go! What’s really wonderful about this is it’s something you can prepare yourself to leave the whole family happy and smiling. And you can make tons of it too. Your family won’t get enough of this so why not try it this weekend? Check it out below.